For those who are interested in Cold War era military aircraft, prepare to be blown away by this FPV video from contributor craig_dt. He managed to fly a racing quadcopter around the Russian Air Force Museum. 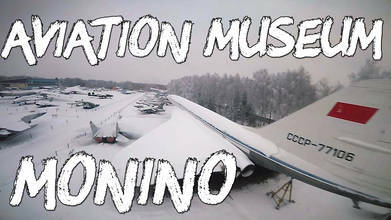 The museum is located in Monino, a suburb of Moscow. Watch it and you will see some of the most amazing aircraft ever flown by the Red Air Force. You will see a wide range of Mig and Sukhoi tactical fighters, the TU-44 supersonic transport, and even some experimental aircraft.